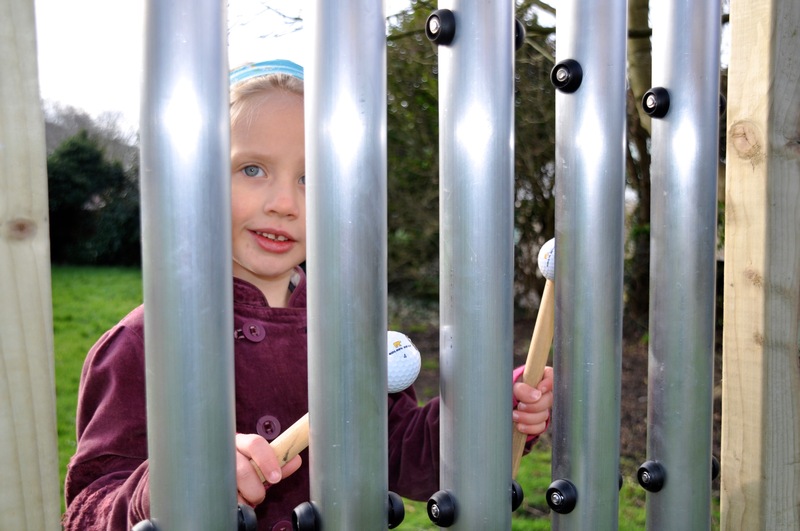 A set of 6 aluminium chimes tuned to a pentatonic scale, producing bright, sustained tones. 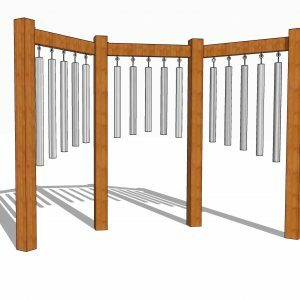 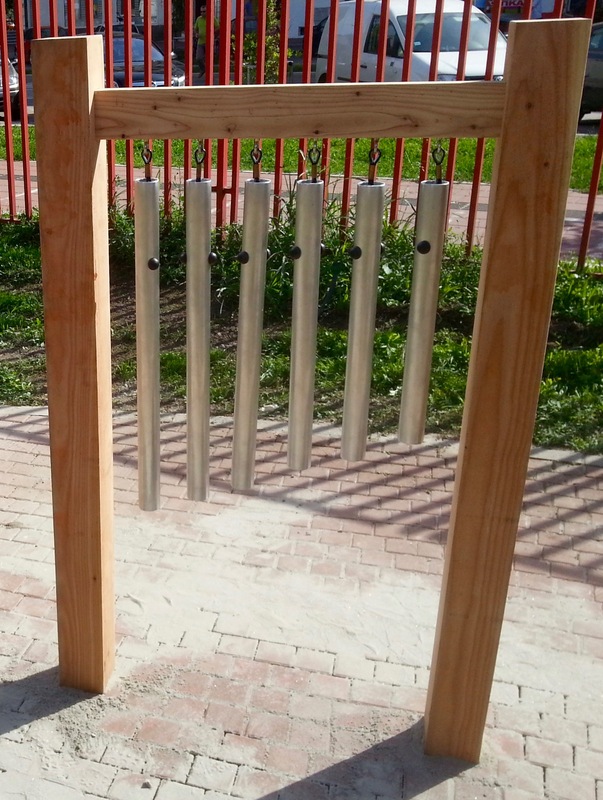 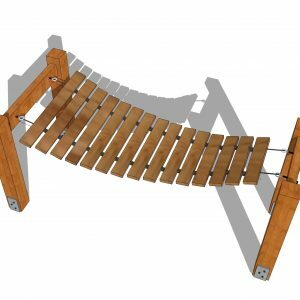 The chimes are top-hung from the timber crossbar using twist-proof, stainless steel cables. 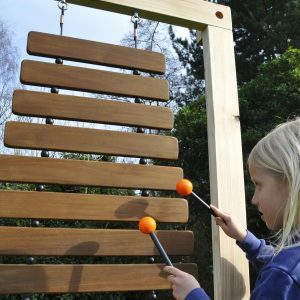 Accessible from both sides and suitable for use with loose or tethered beaters.